Sandstone Sink made from sandstone. 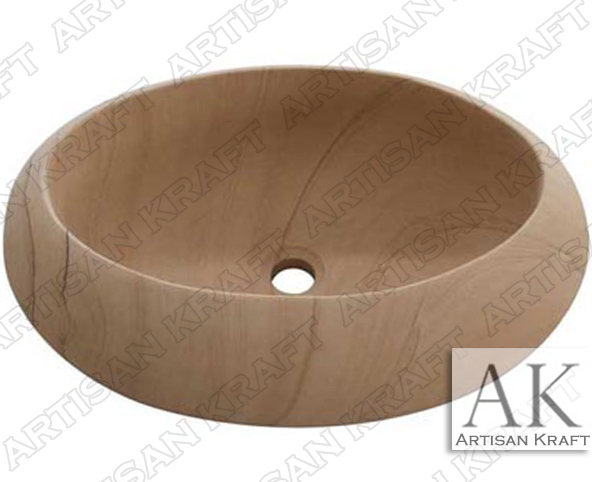 Simple round design for a vanity style sink. This sandstone has a wood like grain that is naturally occurring. This is a great stone that is similar to limestone. The wood like graining is very unique to this sandstone. We also offer a bathtub with a similar pattern. Call today or write for prices and specs. Deliver in all 50 states including WI, Wisconsin and MN Minnesota stone sinks.